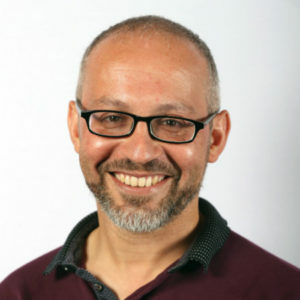 Hesham Abdalla, Consultant Paediatician Senior Lecturer in Healthcare Management and Leadership, Walsall Healthcare NHS Trust, introduces Hexitime, the new skills exchange for Q members. Like many of you reading this, I remember that as a new member of the Q Community, I felt privileged to have joined but confused about “What now?”. Although I knew it was a network of experts, I did not know what expertise was available or how to access it. My chats on the Randomised Coffee Trials or forays on Q Visits gave me a flavour of the richness of expertise within the community but there seemed to be no easy way of targeting this systematically for my own self-development or to help me overcome my own professional challenges. It is founded on the principle that you give an hour of your time and claim one back from another registered member of the community who has a skill that you need. It was around this time that I learnt about Timebanking from Sebastian Yuen, a Q colleague. Timebanking is a reciprocal volunteering model that works to build local communities. It is founded on the principle that you give an hour of your time and claim one back from another registered member of the community who has a skill that you need. Everyone’s time is of equal value no money changes hands. It has benefits beyond simple exchanges by providing opportunities for collaboration and conversations which strengthen connections and lighten everyone’s workload. I wondered, as it worked so well for strengthening local communities, if it could work for a virtual community like ours. 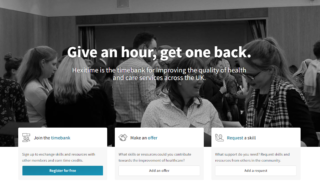 This sparked a conversation with Matthew Mezey who connected me with Professor Richard Byng, who had expertise in Timebanking and John Lodge, an NHS Improvement Lead in London who had envisaged a Q skills exchange platform. Together we developed a pitch to the Q Exchange and received more offers of support than any other idea and had more votes than any other at the national event. With this came funding for Hexitime a new platform to host exchanges. Many of the ideas for Hexitime have since evolved through contributions of Q Members, including the choice for our platform host, Made Open. In this company we found individuals who shared our values and a passion to make this platform a force for improving healthcare improvement. Being voted as the most popular Q Exchange proposal by fellow Q members has given me a feeling of responsibility that I have a duty to make it work for your benefit as well as the wider health and care system. With this, John and I have been working hard with numerous improvement cycles of our own. Our vision is that the platform will eventually be a resource for professionals far beyond Q to volunteer their skills, exchange ideas and hence spread best practice. Thus, as network of networks it could help us escape silo thinking and accelerate improvement projects throughout health and social care. As of March 2019, the platform is now live at www.hexitime.com and already has over 60 members registered who have already posted some fabulous offers and heartfelt requests. You can browse the platform to view these as well as register and post your own. There is launch event on 4th April 1300-1600 at the Health Foundation, Covent Garden where we will share our experience and what we have learnt from the first few exchanges. You are welcome to join us. If you have a Q account please log in before posting your comment. Read our comments policy before posting your comment.